Shoeboxes ready for the first wave of children. Examples of packed shoeboxes in middle. 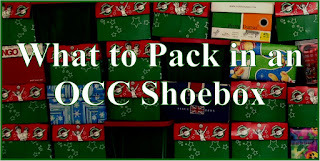 Hosting Operation Christmas Child shoebox packing parties is a great way to introduce the concept to new packers as well as a great way to get many shoeboxes packed in a short time. It takes year round planning and shopping to keep the costs down. 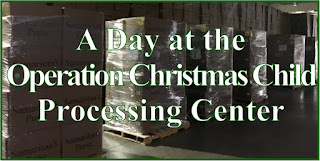 We have hosted family packing parties as well as packing parties for the kids at church. 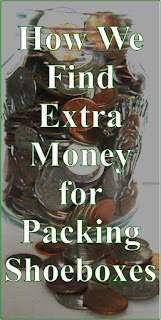 One year our AWANA director asked us two weeks before if we would host a packing party. And as you can imagine, the budget was very limited. We pulled it off and were able to pack more shoeboxes than planned. 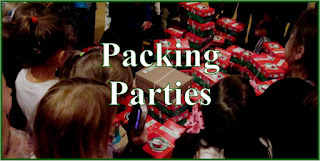 Below are links to posts where we have shared information about our packing parties--many with details that can help you plan and host your own Operation Christmas Child packing party. Sarah packing for 10 to 14 year old girls. She works on several at one time. Packing party set up for 48 shoeboxes to be filled by children's church kids. Our 2013 Spur of the Moment Packing Party Posts -- We shared as we planned, shopped, prepared and packed. 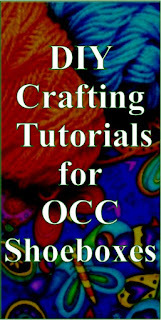 Links to individual posts listed below. Pencils & pens for family packing party. 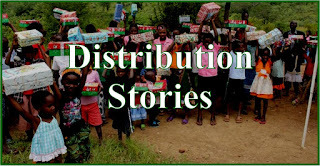 We have found that buying in bulk from online sources for our Operation Christmas Child shoebox packing parties helps save time and money. 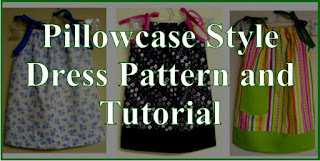 We have written reviews of many of the items we have purchased. You can find them all here: Filler Reviews. One of our favorite places to buy hygiene items is MDSupplies. 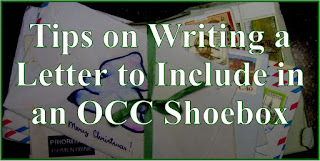 They have made a special order form for shoebox shoppers that offer many items, all with free shipping. We have reviewed over a dozen of their items including toothbrushes, combs, hygiene cases, coloring books, bandages and more! 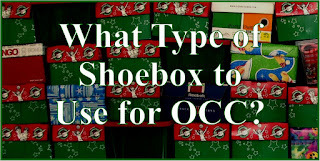 You can find a full list of items we have reviewed in this post: MDSupplies OCC Shoebox Item Reviews. 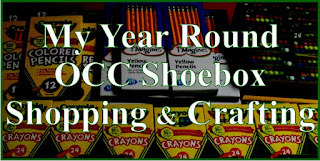 Every shoebox we pack at home or at our packing parties include toothbrushes, combs and hygiene cases from MDSupplies. 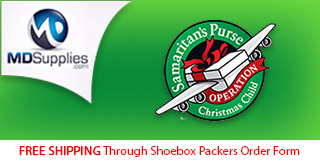 Click image to see full MDSupplies Shoebox Packers Order Form. 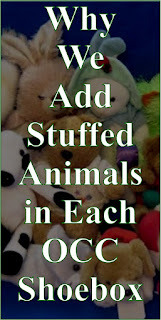 And one last link is to an idea a reader had for a Leftovers Potluck Operation Christmas Child Packing Party Idea. Children praying over shoeboxes when they finished packing. 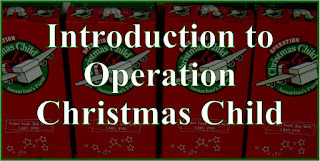 Keep up with all the Operation Christmas Child shoebox packing information we share thru Email or follow us on Facebook. 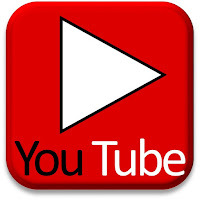 You can also find Simply Shoeboxes on Pinterest and YouTube.